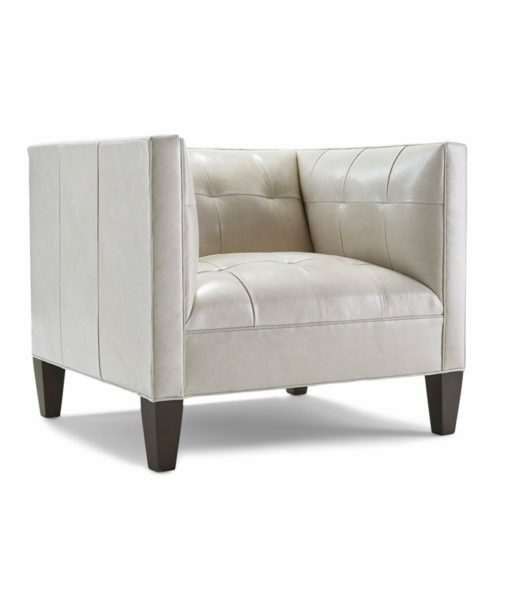 Kennedy’s modern grid-tufted seat and back are flanked by shelter-style arms that provide a comforting embrace. This is a great chair to crawl up in and settle down for a comfortable read! Customize this piece in your choice of fabric or leather and finish. The Kennedy collection includes a sofa, loveseat, chair, and ottoman.